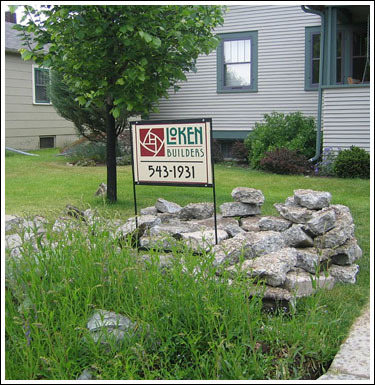 Loken Builders is a full-service building designer and contractor. We focus on building restoration and remodeling, building additions, urban infill projects, historic renovation, and new construction. In all of our work we strive to reduce the use of energy, water, and building materials and construction waste. Our clients in the greater Missoula area can testify to the quality of our work. Loken Builders fully utilizes “green building” practices, and focuses on “regenerative construction.” We incorporate ecological design principles that ensure that the building both supports and benefits from natural systems. 12. Ensure good indoor air quality with heat recovery and natural ventilation. Contact Loken Builders to discuss your own building or remodeling ideas. We'll spend up to an hour with you reviewing your building project at no charge or obligation. Click here to see a sample of our Residential Remodeling, Historic Renovation, and New Construction projects.